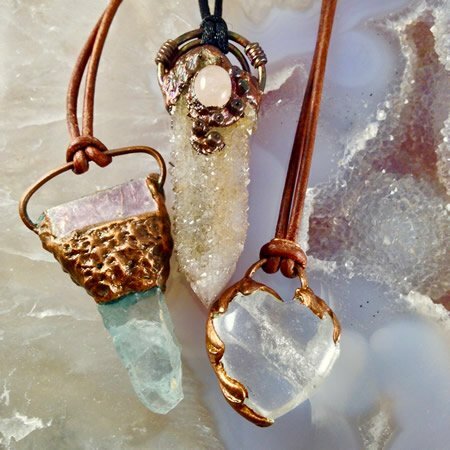 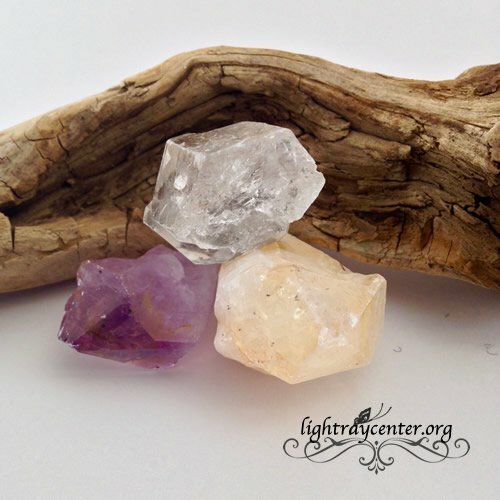 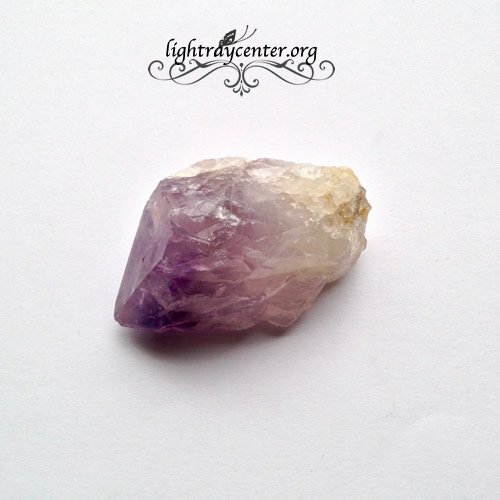 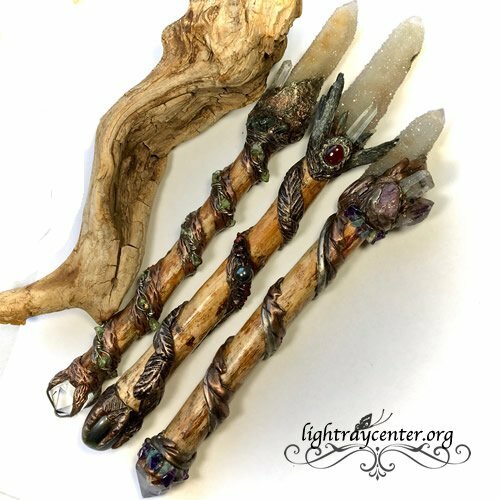 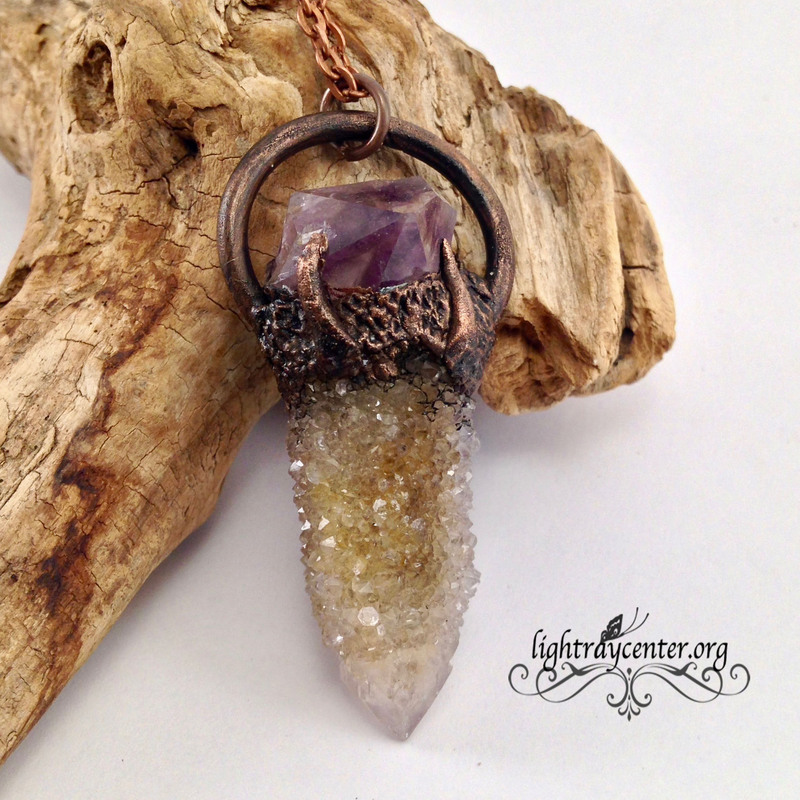 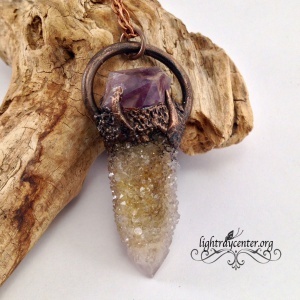 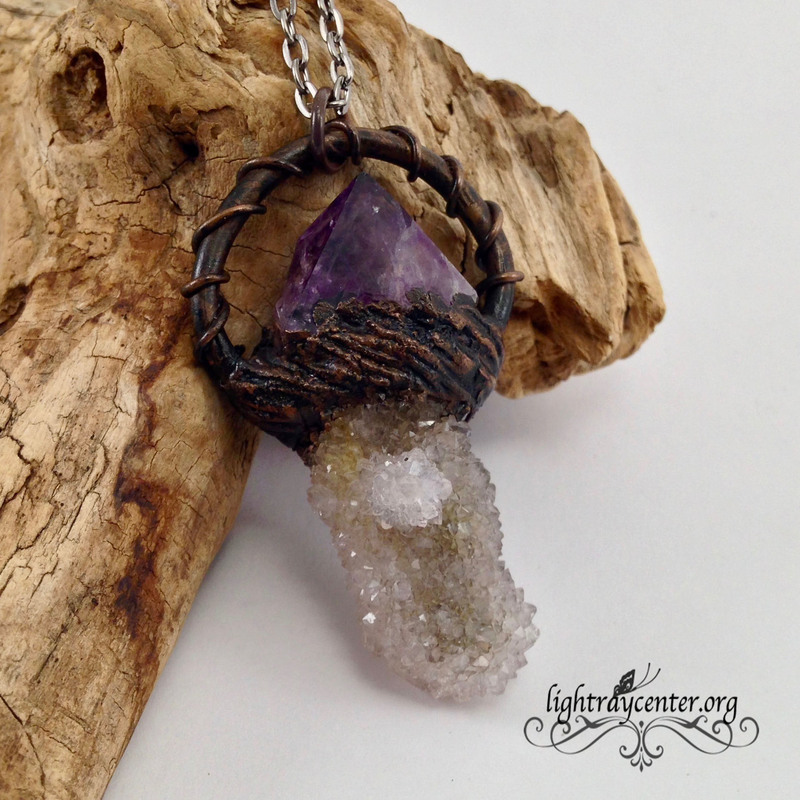 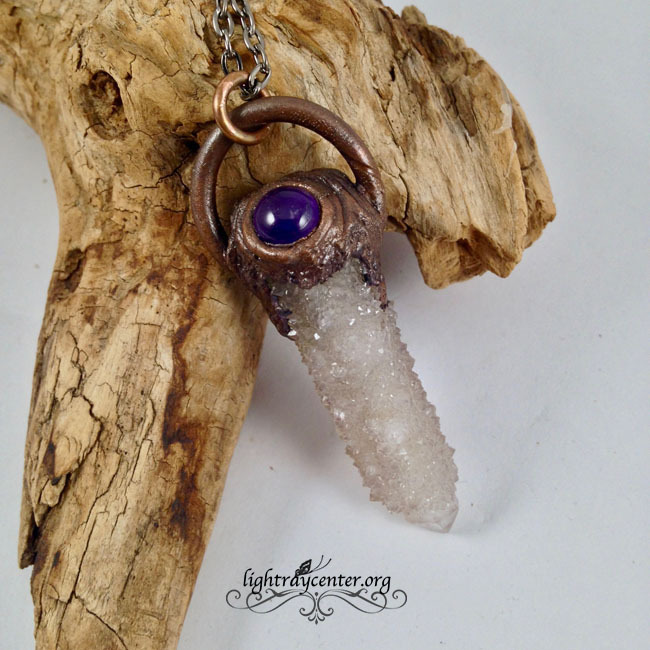 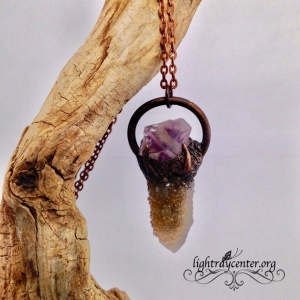 This handmade spirit quartz point pendant features a spirit quartz amethyst point crown encrusted in antiqued copper. 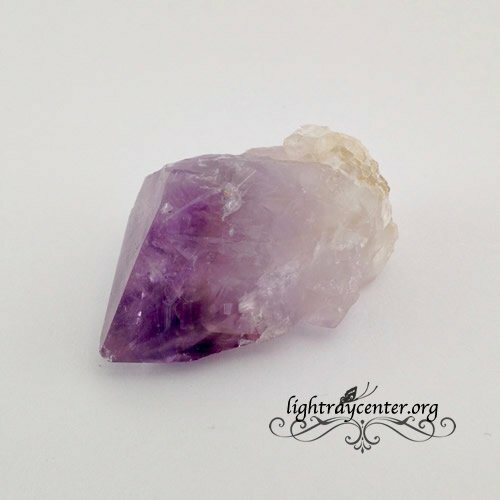 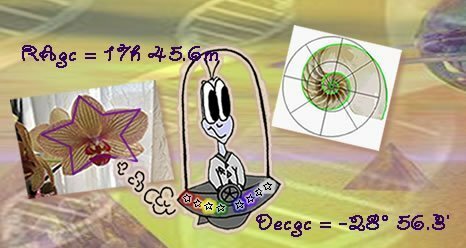 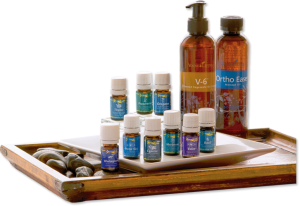 It measures 1/2 of an inch wide and approximately 2 inches high. It comes on a 24″ copper chain.